BIBLIOTECA PROFESORA CARMEN MONTERO: EL ROBO DEL "NYMPHAEA THERMARUM"
EL ROBO DEL "NYMPHAEA THERMARUM"
Recientemente ha desaparecido del Jardín Botánico de Kew (Londres) uno de los pocos nenúfares enanos que existen en el mundo. Se trata del nenúfar "Nymphaea thermarum”, cuya flor apenas alcanza 1 cm de diámetro. En clase de Ciencias Naturales, los alumnos de la sección bilingüe de 1º ESO B han leído el artículo que relata el misterioso robo y posteriormente han diseñado un cartel para intentar localizar al nenúfar desaparecido. 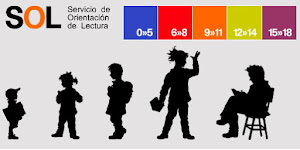 Otros alumnos, en lugar del póster, han inventado una historia para tratar de resolver el caso. ¡¡Próximamente se publicarán los mejores trabajos!! The water lily “Nymphaea thermarum” has been stolen from Kew Gardens, in London. Nowadays, the plant is almost extinct in the wild, but it is cultivated in two places in the world: one is the Kew Gardens and the other one is in Germany. 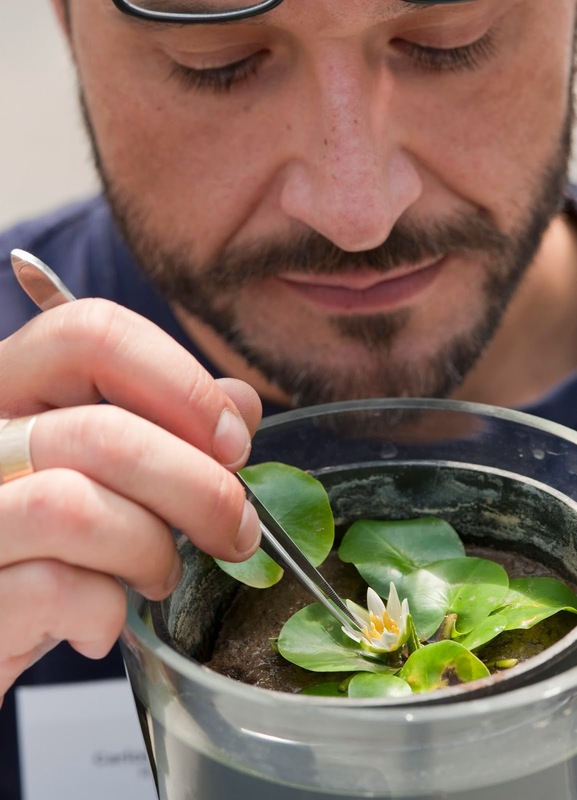 The stolen plant is one of the rarest in the world: it is the smallest water lily that exists. It is as small as a fingernail (1 cm in diameter)! The flower is white with yellow stamen. 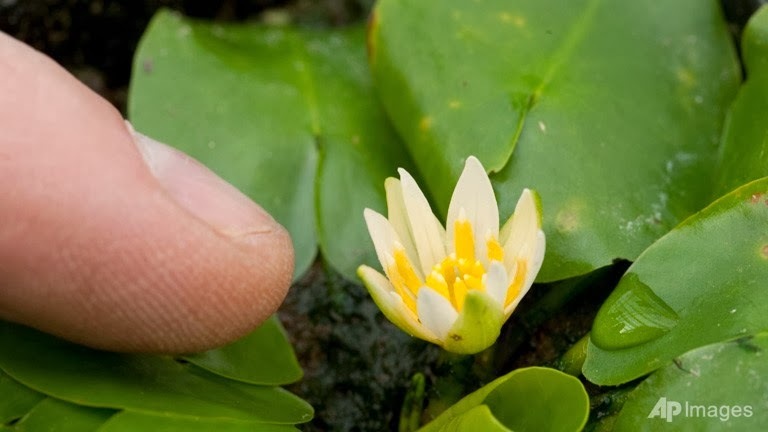 The plant has no official common name but it is known as the "pygmy Rwandan water lily” because it was discovered in 1987 by a German botanist at a hot spring in Rwanda. However, it disappeared from there in 2008 because of the over-exploitation of the hot spring that kept the plants moist and at a constant temperature. Before the extinction, a number of living plants were taken by scientist from Bonn Botanic Garden, in Germany, and from the Royal Botanic Gardens in Kew, which succeeded in propagating the delicate plant in 2009. The “Nymphaea thermarum” grows in warm mud, at 25 degrees Celsius (77 Fahrenheit). There are more than 50 living water lilies at Kew and a small number in Germany. Nowadays, a few plants grow again in the wild in Rwanda, but the “Nymphaea thermarum” is critically endangered. The plant is believed to have been stolen between 8.30 am and 2.55 pm last Thursday, a Scotland Yard man said. Other instances of theft have occurred, but they are isolated and infrequent, Richard Barley, director of horticulture at Kew Gardens, said. Anyone with information about the theft is asked to contact Scotland Yard on 020 8721 5934. MARCAPÁGINAS "LA BIBLIOTECA DE LOS ENIGMAS"